The church of the Madeleine is a paradoxical monument. All Parisians know it, but very few have visited it. 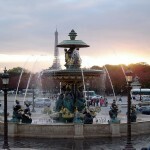 A symbol of Paris whose history and inner richness remain unknown, but deserves to be discovered. 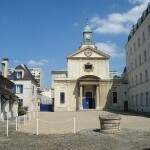 Begun under Louis XV, in 1764, the church of the Madeleine had to replace an old church, located at the 8 boulevard Malesherbes current, and which could not accommodate the growing population of the district. In 1777, on the death of the architect in charge of the yard, his pupil imagined a new project and undertook important modifications, until the French Revolution stopped the works. In 1806, Napoleon decided to create in Paris a temple to the glory of the soldiers of the Grande Armée on the site of the Madeleine. The previous construction was razed to build the new monument. But the work, again, progressed slowly, and the temple project dedicated to the armies was abandoned in favor of the Arc de Triomphe. 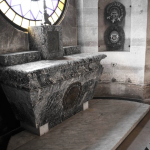 The monument was returned to Catholic worship in 1816, and the work was completed only in 1842. It took 78 years to build this church! A church, or a temple? 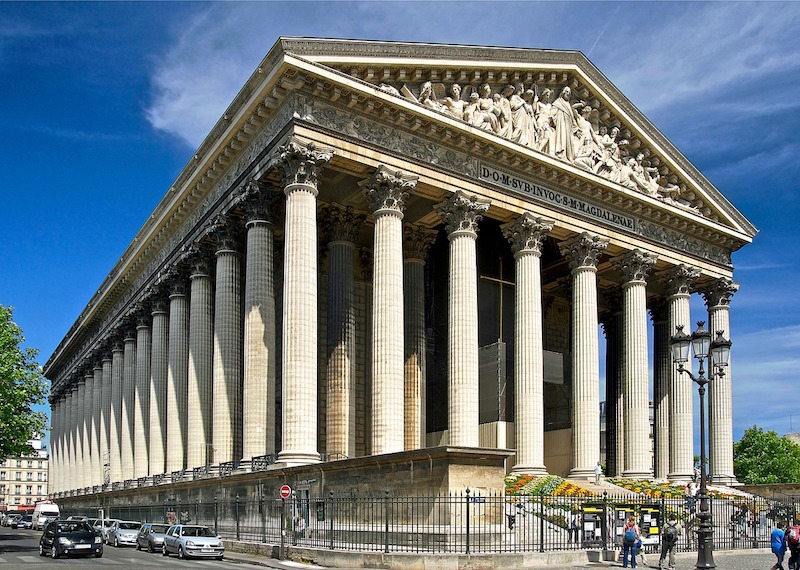 It is because of the Napoleonic project to make a temple to the glory of the French Armies whose architecture is inspired by Greco-Roman architecture, that this church does not have much … a church. You will not see any crosses or belfries on the outside, nor transept or aisles on the inside. In the half-dome above the altar is visible a large fresco, made by Jules Ziegler between 1835 and 1837. Named (soberly …) History of Christianity, it brings together around Christ the great characters who have marked the Christianity of the East (on his right), and of Occident (on his left). 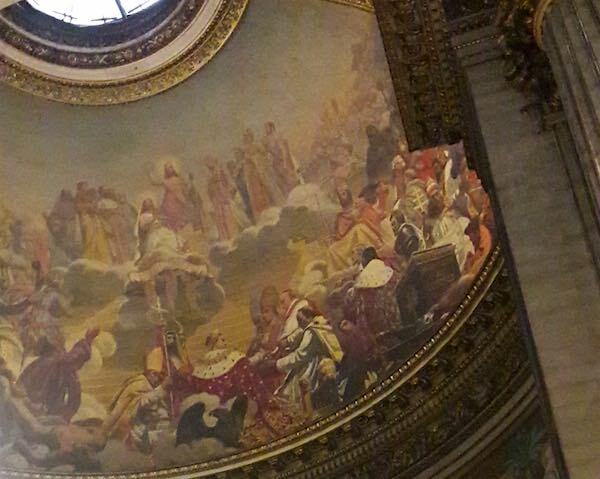 To note that in the middle of the fresco appears Napoleon in large cloak dotted with golden bees, to which the bishop of Genoa gives the text of the Concordat. 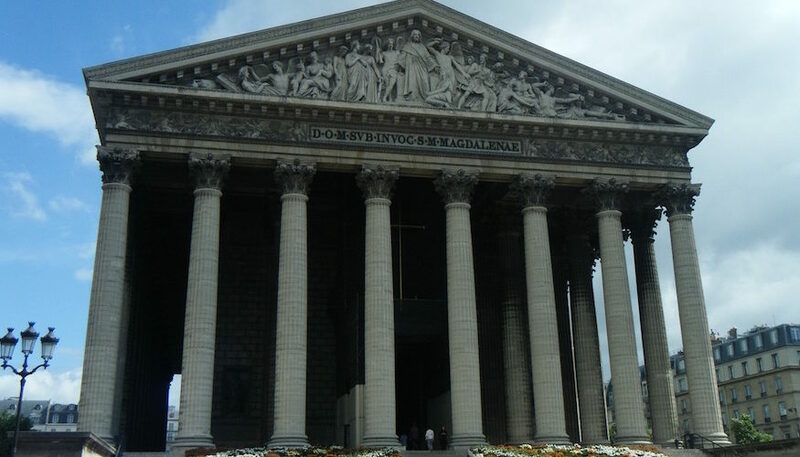 The Madeleine is the only Parisian church where appears on a fresco the figure of Napoleon. On October 30, 1849, 3,000 people, mainly artists and men of letters, attended the ceremony during which Mozart’s Requiem and the Funeral March were performed. After which the procession, accompanied by thousands of Parisians, transported the tomb of the composer and pianist to the cemetery of Père-Lachaise, where he still rests today. Un Jour de Plus à Paris also organizes guided tours. 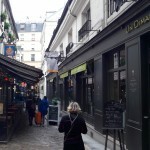 Walks that will introduce you to an original and out of the ordinary Paris. All the information about our visits. History of a pioneer of feminism, whose struggles took root in the French Revolution. A picturesque street full of historical memories ! 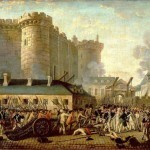 Do you really know la Bastille ? A pretty unsung monument located in the 8th arrondissement, built at the place where King Louis XVI and the Queen were buried in 1793. 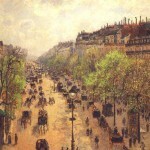 History of the "Grands Boulevards"
History of the Boulevards, a “right bank” creation that peaked during the 19th century. Everything you need to know about the 5 royal square of Paris : Place des Vosges, Place Dauphine, Place des Victoires, Place Vendôme et Place de la Concorde. L'incontournable des visites culturelles et touristiques à Paris. 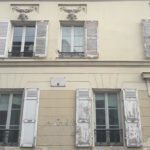 Balades, visites guidées, découvertes insolites… Visitez Paris autrement !